Oh yeah, SOAP DISPENSER WEEK Bonus Day!!! 5 was just not enough! When I say a week, I mean a week! 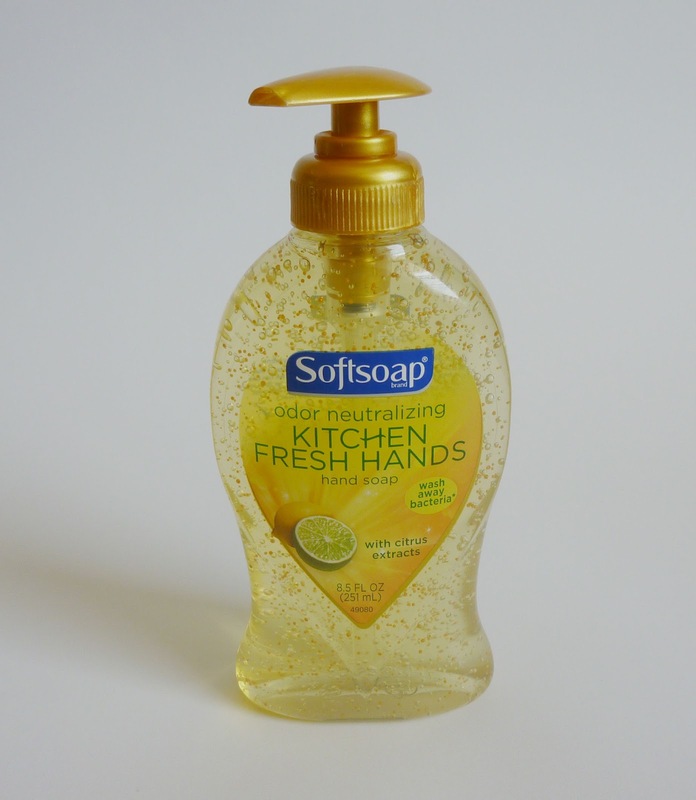 I've learned a few things, spending this week decorating soap dispenser bottles. I think, of course, the biggest thing being that I could do one of these weeks a year for the next decade and never repeat a bottle shape. The other thing has to be that covered soap bottles are super cute and super cheap to make. Which makes me think that this week should really have been labled PRACTICALLY PERFECT GIFTS FOR EVERYONE YOU KNOW!! week. This is the last soap bottle for this series, but I think I might have saved the best for last. I made it to go in my kitchen, but you can make it in any color that you like. I hot glued a button to the top of a ribbon, and then glued the button/ribbon to a bobby pin! It's so simple, but it's absolutely adorable in person. I'm not a cutesy cutesy kind of person, but I literally squealed with delight when I finished this soap cover. 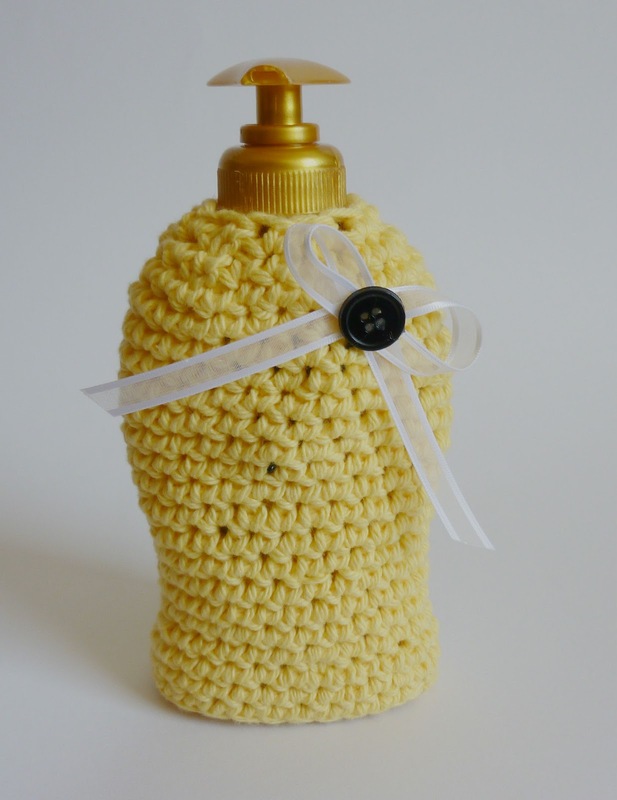 Okay, so even though this was the last soap dispenser cover, I do have a surprise for you tomorrow. The last day of my SOAP DISPENSER WEEK extravaganza is going to be filled with hand sanitizers and hand towels. So enjoy your lovely Saturday, Dynamos! Come back tomorrow for this week's thrilling conclusion!